LXCFS 2.0 has been released! LXCFS is a side project of LXC and LXD. It’s basically a tiny FUSE filesystem which gets mounted in your containers and mask a number of proc files. It’s basically a userspace workaround to changes which were deemed unreasonable to do in the kernel. It makes containers feel much more like separate systems than they would without it. On top of the proc virtualization feature, lxcfs also supports rendering a partial cgroupfs view which can then be mounted into a container on top of /sys/fs/cgroup, allowing processes in the container to interact with the cgroups in a safe way. This part is only enabled on kernels that do not support the cgroup namespace, as newer kernels (4.6 upstream, 4.4 Ubuntu) no longer need this. lxcfs isn’t absolutely needed to run LXC or LXD containers. LXD in Ubuntu actually depends on LXCFS as we think it’s a critical part of offering a good container experience on Ubuntu. LXCFS is available in quite a few distributions, so chances are you can just grab it with your package manager. It may take a few days/weeks for 2.0 to be available though. Ubuntu users have had lxcfs available for a few years now and the 2.0 release is now in the Ubuntu development release. Up to date packages for all Ubuntu releases can also be found in our PPAs. What kind of support will this get? LXCFS 2.0 is a long term support release. That means that upstream LXCFS will be pushing out bugfix and security releases for the next 5 years. A separate stable branch will be setup upstream and bugfixes will be cherry-picked into it, when enough fixes have accumulated a bugfix release (like 2.0.1) will be released. Want to see what a container with LXCFS installed feels like? You can get one online to play with here. This is the fifth blog post in this series about LXD 2.0. If you’ve used LXC before, you probably remember those LXC “templates”, basically shell scripts that spit out a container filesystem and a bit of configuration. Most templates generate the filesystem by doing a full distribution bootstrapping on your local machine. This may take quite a while, won’t work for all distributions and may require significant network bandwidth. Back in LXC 1.0, I wrote a “download” template which would allow users to download pre-packaged container images, generated on a central server from the usual template scripts and then heavily compressed, signed and distributed over https. A lot of our users switched from the old style container generation to using this new, much faster and much more reliable method of creating a container. With LXD, we’re taking this one step further by being all-in on the image based workflow. All containers are created from an image and we have advanced image caching and pre-loading support in LXD to keep the image store up to date. Before digging deeper into the image format, lets quickly go through what LXD lets you do with those images. All containers are created from an image. The image may have come from a remote image server and have been pulled using its full hash, short hash or an alias, but in the end, every LXD container is created from a local image. All of those refer to the same remote image (at the time of this writing), the first time one of those is run, the remote image will be imported in the local LXD image store as a cached image, then the container will be created from it. The next time one of those commands are run, LXD will only check that the image is still up to date (when not referring to it by its fingerprint), if it is, it will create the container without downloading anything. If you want to change some of that automatic caching and expiration behavior, there are instructions in an earlier post in this series. This simply copies the remote image into the local image store. “lxc image import” also works with some special URLs. If you have an https web server which serves a path with the LXD-Image-URL and LXD-Image-Hash headers set, then LXD will pull that image into its image store. When pulling the image, LXD also sets some headers which the remote server could check to return an appropriate image. Those are LXD-Server-Architectures and LXD-Server-Version. This is meant as a poor man’s image server. It can be made to work with any static web server and provides a user friendly way to import your image. Now that we have a bunch of images in our local image store, lets see what we can do with them. We’ve already covered the most obvious, creating containers from them but there are a few more things you can do with the local image store. You can change any property you want, turn auto-update on and off or mark an image as publicly available (more on that later). Note that you don’t have to remove cached entries, those will automatically be removed by LXD after they expire (by default, after 10 days since they were last used). stgraber@dakara:~$ lxc image export old-ubuntu . LXD right now supports two image layouts, unified or split. Both of those are effectively LXD-specific though the latter makes it easier to re-use the filesystem with other container or virtual machine runtimes. LXD being solely focused on system containers, doesn’t support any of the application container “standard” image formats out there, nor do we plan to. Our images are pretty simple, they’re made of a container filesystem, a metadata file describing things like when the image was made, when it expires, what architecture its for, … and optionally a bunch of file templates. See this document for up to date details on the image format. The unified image format is what LXD uses when generating images itself. They are a single big tarball, containing the container filesystem inside a “rootfs” directory, have the metadata.yaml file at the root of the tarball and any template goes into a “templates” directory. Any compression (or none at all) can be used for that tarball. The image hash is the sha256 of the resulting compressed tarball. This format is most commonly used by anyone rolling their own images and who already have a compressed filesystem tarball. They are made of two distinct tarball, the first contains just the metadata bits that LXD uses, so the metadata.yaml file at the root and any template in the “templates” directory. The second tarball contains only the container filesystem directly at its root. Most distributions already produce such tarballs as they are common for bootstrapping new machines. This image format allows re-using them unmodified. Any compression (or none at all) can be used for either tarball, they can absolutely use different compression algorithms. The image hash is the sha256 of the concatenation of the metadata and rootfs tarballs. description: "Ubuntu 12.04 LTS server (20160315)"
The two only mandatory fields are the creation date (UNIX EPOCH) and the architecture. Everything else can be left unset and the image will import fine. The extra properties are mainly there to help the user figure out what the image is about. The “description” property for example is what’s visible in “lxc image list”. The other properties can be used by the user to search for specific images using key/value search. Those properties can then be edited by the user through “lxc image edit” in contrast, the creation date and architecture fields are immutable. The template mechanism allows for some files in the container to be generated or re-generated at some point in the container lifecycle. We use the pongo2 templating engine for those and we export just about everything we know about the container to the template. That way you can have custom images which use user-defined container properties or normal LXD properties to change the content of some specific files. As you can see in the example above, we’re using those in Ubuntu to seed cloud-init and to turn off some init scripts. LXD being focused on running full Linux systems means that we expect most users to just use clean distribution images and not spin their own image. However there are a few cases where having your own images is useful. Such as having pre-configured images of your production servers or building your own images for a distribution or architecture that we don’t build images for. The easiest way by far to build an image with LXD is to just turn a container into an image. Building your own image is also pretty simple. Generate a container filesystem. This entirely depends on the distribution you’re using. For Ubuntu and Debian, it would be by using debootstrap. Configure anything that’s needed for the distribution to work properly in a container (if anything is needed). Make a tarball of that container filesystem, optionally compress it. Write a new metadata.yaml file based on the one described above. Create another tarball containing that metadata.yaml file. You will probably need to go through this a few times before everything works, tweaking things here and there, possibly adding some templates and properties. All LXD daemons act as image servers. Unless told otherwise all images loaded in the image store are marked as private and so only trusted clients can retrieve those images, but should you want to make a public image server, all you have to do is tag a few images as public and make sure you LXD daemon is listening to the network. The easiest way to share LXD images is to run a publicly visible LXD daemon. They can then use it just as they would any of the default image servers. As the remote server was added with “–public”, no authentication is required and the client is restricted to images which have themselves been marked as public. To change what images are public, just “lxc image edit” them and set the public flag to true. If you want to make this dynamic, you can have your server look for the LXD-Server-Architectures and LXD-Server-Version HTTP headers which LXD will provide when fetching the image. This allows you to return the right image for the server’s architecture. The “ubuntu:” and “ubuntu-daily:” remotes aren’t using the LXD protocol (“images:” is), those are instead using a different protocol called simplestreams. simplestreams is basically an image server description format, using JSON to describe a list of products and files related to those products. It is used by a variety of tools like OpenStack, Juju, MAAS, … to find, download or mirror system images and LXD supports it as a native protocol for image retrieval. While certainly not the easiest way to start providing LXD images, it may be worth considering if your images can also be used by some of those other tools. I hope this gave you a good idea of how LXD manages its images and how to build and distribute your own. The ability to have the exact same image easily available bit for bit on a bunch of globally distributed system is a big step up from the old LXC days and leads the way to more reproducible infrastructure. And if you don’t want or can’t install LXD on your own machine, you can always try it online instead! This is the fourth blog post in this series about LXD 2.0. LXD offers a variety of resource limits. Some of those are tied to the container itself, like memory quotas, CPU limits and I/O priorities. Some are tied to a particular device instead, like I/O bandwidth or disk usage limits. As with all LXD configuration, resource limits can be dynamically changed while the container is running. Some may fail to apply, for example if setting a memory value smaller than the current memory usage, but LXD will try anyway and report back on failure. All limits can also be inherited through profiles in which case each affected container will be constrained by that limit. That is, if you set limits.memory=256MB in the default profile, every container using the default profile (typically all of them) will have a memory limit of 256MB. We don’t support resource limits pooling where a limit would be shared by a group of containers, there is simply no good way to implement something like that with the existing kernel APIs. This is perhaps the most requested and obvious one. Simply setting a size limit on the container’s filesystem and have it enforced against the container. And that’s exactly what LXD lets you do! Unfortunately this is far more complicated than it sounds. Linux doesn’t have path-based quotas, instead most filesystems only have user and group quotas which are of little use to containers. This means that right now LXD only supports disk limits if you’re using the ZFS or btrfs storage backend. It may be possible to implement this feature for LVM too but this depends on the filesystem being used with it and gets tricky when combined with live updates as not all filesystems allow online growth and pretty much none of them allow online shrink. In this mode, you let LXD pick a bunch of cores for you and then load-balance things as more containers and CPUs go online/offline. The container only sees that number of CPU. Similar to the first mode except that no load-balancing is happening, you’re stuck with those cores no matter how busy they may be. In this mode, you get to see all the CPUs but the scheduler will restrict you to 20% of the CPU time but only when under load! So if the system isn’t busy, your container can have as much fun as it wants. When containers next to it start using the CPU, then it gets capped. This mode is similar to the previous one in that you get to see all the CPUs but this time, you can only use as much CPU time as you set in the limit, no matter how idle the system may be. On a system without over-commit this lets you slice your CPU very neatly and guarantees constant performance to those containers. It’s also possible to combine one of the first two with one of the last two, that is, request a set of CPUs and then further restrict how much CPU time you get on those. On top of that, we also have a generic priority knob which is used to tell the scheduler who wins when you’re under load and two containers are fighting for the same resource. Memory sounds pretty simple, just give me X MB of RAM! And it absolutely can be that simple. We support that kind of limits as well as percentage based requests, just give me 10% of whatever the host has! Then we support some extra stuff on top. For example, you can choose to turn swap on and off on a per-container basis and if it’s on, set a priority so you can choose what container will have their memory swapped out to disk first! Oh and memory limits are “hard” by default. That is, when you run out of memory, the kernel out of memory killer will start having some fun with your processes. Alternatively you can set the enforcement policy to “soft”, in which case you’ll be allowed to use as much memory as you want so long as nothing else is. As soon as something else wants that memory, you won’t be able to allocate anything until you’re back under your limit or until the host has memory to spare again. Network I/O is probably our simplest looking limit, trust me, the implementation really isn’t simple though! We support two things. The first is a basic bit/s limits on network interfaces. You can set a limit of ingress and egress or just set the “max” limit which then applies to both. This is only supported for “bridged” and “p2p” type interfaces. The second thing is a global network I/O priority which only applies when the network interface you’re trying to talk through is saturated. I kept the weirdest for last. It may look straightforward and feel like that to the user but there are a bunch of cases where it won’t exactly do what you think it should. What we support here is basically identical to what I described in Network I/O. You can set IOps or byte/s read and write limits directly on a disk device entry and there is a global block I/O priority which tells the I/O scheduler who to prefer. The weirdness comes from how and where those limits are applied. Unfortunately the underlying feature we use to implement those uses full block devices. That means we can’t set per-partition I/O limits let alone per-path. It also means that when using ZFS or btrfs which can use multiple block devices to back a given path (with or without RAID), we effectively don’t know what block device is providing a given path. This means that it’s entirely possible, in fact likely, that a container may have multiple disk entries (bind-mounts or straight mounts) which are coming from the same underlying disk. And that’s where things get weird. To make things work, LXD has logic to guess what block devices back a given path, this does include interrogating the ZFS and btrfs tools and even figures things out recursively when it finds a loop mounted file backing a filesystem. That logic while not perfect, usually yields a set of block devices that should have a limit applied. LXD then records that and moves on to the next path. When it’s done looking at all the paths, it gets to the very weird part. It averages the limits you’ve set for every affected block devices and then applies those. That means that “in average” you’ll be getting the right speed in the container, but it also means that you can’t have a “/fast” and a “/slow” directory both coming from the same physical disk and with differing speed limits. LXD will let you set it up but in the end, they’ll both give you the average of the two values. Most of the limits described above are applied through the Linux kernel Cgroups API. That’s with the exception of the network limits which are applied through good old “tc”. LXD at startup time detects what cgroups are enabled in your kernel and will only apply the limits which your kernel support. Should you be missing some cgroups, a warning will also be printed by the daemon which will then get logged by your init system. On Ubuntu 16.04, everything is enabled by default with the exception of swap memory accounting which requires you pass the “swapaccount=1” kernel boot parameter. The complete list of valid configuration keys, device types and device keys can be found here. Note that to avoid utterly confusing userspace, lxcfs arranges the /proc/cpuinfo entries so that there are no gaps. Unlike CPU and memory, disk and I/O limits are applied to the actual device entry, so you either need to edit the original device or mask it with a more specific one. To increase the I/O priority for that container to the maximum. Network I/O is basically identical to block I/O as far the knobs available. Connecting to speedtest.newark.linode.com (speedtest.newark.linode.com)|50.116.57.237|:80... connected. And that’s how you throttle an otherwise nice gigabit connection to a mere 100Mbit/s one! The LXD team spent quite a few months iterating over the language we’re using for those limits. It’s meant to be as simple as it can get while remaining very powerful and specific when you want it to. Live application of those limits and inheritance through profiles makes it a very powerful tool to live manage the load on your servers without impacting the running services. This is the third blog post in this series about LXD 2.0. As there are a lot of commands involved with managing LXD containers, this post is rather long. If you’d instead prefer a quick step-by-step tour of those same commands, you can try our online demo instead! As I mentioned in the previous posts, the LXD command line client comes pre-configured with a few image sources. Ubuntu is the best covered with official images for all its releases and architectures but there also are a number of unofficial images for other distributions. Those are community generated and maintained by LXC upstream contributors. Note however that the meaning of this will change as new Ubuntu LTS releases are released. So for scripting use, you should stick to mentioning the actual release you want (see below). In this mode, a random container name will be picked. The “ubuntu:” remote used above only provides official, tested images for Ubuntu. If you instead want untested daily builds, as is appropriate for the development release, you’ll want to use the “ubuntu-daily:” remote instead. In this example, whatever the latest Ubuntu development release is will automatically be picked. If you want to just create a container or a batch of container but not also start them immediately, you can just replace “lxc launch” by “lxc init”. All the options are identical, the only different is that it will not start the container for you after creation. Which shows a different set of columns that require less processing on the server side. In this example, only containers that are privileged (user namespace disabled) are listed. And in this example, only the containers which have “alpine” in their names (complex regular expressions are also supported). Those are probably the most obvious commands of any container or virtual machine manager but they still need to be covered. Oh and all of them accept multiple container names for batch operation. You can also “pause” a container. In this mode, all the container tasks will be sent the equivalent of a SIGSTOP which means that they will still be visible and will still be using memory but they won’t get any CPU time from the scheduler. This is useful if you have a CPU hungry container that takes quite a while to start but that you aren’t constantly using. You can let it start, then pause it, then start it again when needed. Note that you will have to pass “–force” if the container is currently running. LXD exposes quite a few container settings, including resource limitation, control of container startup and a variety of device pass-through options. The full list is far too long to cover in this post but it’s available here. This can be a physical disk or partition being mounted into the container or a bind-mounted path from the host. A network interface. It can be a bridged virtual ethernet interrface, a point to point device, an ethernet macvlan device or an actual physical interface being passed through to the container. This special type is used to hide a device which would otherwise be inherited through profiles. This behaves the exact same way as “profile edit” above. Which will setup a /dev/kvm entry for the container named “my-container”. The same can be done for a profile using “lxc profile set” and “lxc profile device add”. That one is very convenient to check what will actually be applied to a given container. Note that unless indicated in the documentation, all configuration keys and device entries are applied to affected containers live. This means that you can add and remove devices or alter the security profile of running containers without ever having to restart them. LXD lets you execute tasks directly into the container. The most common use of this is to get a shell in the container or to run some admin tasks. The benefit of this compared to SSH is that you’re not dependent on the container being reachable over the network or on any software or configuration being present inside the container. One thing that’s a bit unusual with the way LXD executes commands inside the container is that it’s not itself running inside the container, which means that it can’t know what shell to use, what environment variables to set or what path to use for your home directory. Commands executed through LXD will always run as the container’s root user (uid 0, gid 0) with a minimal PATH environment variable set and a HOME environment variable set to /root. Additional environment variables can be passed through the command line or can be set permanently against the container through the “environment.<key>” configuration options. That’s assuming the container does actually have bash installed. Because LXD has direct access to the container’s file system, it can directly read and write any file inside the container. This can be very useful to pull log files or exchange files with the container. LXD lets you snapshot and restore containers. Snapshots include the entirety of the container’s state (including running state if –stateful is used), which means all container configuration, container devices and the container file system. It’ll get named snapX where X is an incrementing number. The number of snapshots a container has is listed in “lxc list”, but the actual snapshot list is only visible in “lxc info”. Getting clean distribution images is all nice and well, but sometimes you want to install a bunch of things into your container, configure it and then branch it into a bunch of other containers. The destination container will be identical in every way to the source one, except it won’t have any snapshot and volatile keys (MAC address) will be reset. LXD lets you copy and move containers between hosts, but that will get covered in a later post. The only requirement is that the container be stopped, everything else will be kept exactly as it was, including the volatile information (MAC address and such). This pretty long post covered most of the commands you’re likely to use in day to day operation. Obviously a lot of those commands have extra arguments that let you be more efficient or tweak specific aspects of your LXD containers. The best way to learn about all of those is to go through the help for those you care about (–help). This is the second blog post in this series about LXD 2.0. There are many ways to get the latest and greatest LXD. We recommend you use LXD with the latest LXC and Linux kernel to benefit from all its features but we try to degrade gracefully where possible to support older Linux distributions. All new releases of LXD get uploaded to the Ubuntu development release within a few minutes of the upstream release. That package is then used to seed all the other source of packages for Ubuntu users. Building LXD from source isn’t very difficult if you are used to building Go projects. Note however that you will need the LXC development headers. In order to run LXD, your distribution also needs a recent Linux kernel (3.13 at least), recent LXC (1.1.5 or higher), LXCFS and a version of shadow that supports user sub-uid/gid allocations. The latest instructions on building LXD from source can be found in the upstream README. The Ubuntu packages provide you with a “lxdbr0” bridge as a convenience. This bridge comes unconfigured by default, offering only IPv6 link-local connectivity through an HTTP proxy. LXD supports a number of storage backends. It’s best to know what backend you want to use prior to starting to use LXD as we do not support moving existing containers or images between backends. A feature comparison table of the different backends can be found here. Our recommendation is ZFS as it supports all the features LXD needs to offer the fastest and most reliable container experience. This includes per-container disk quotas, immediate snapshot/restore, optimized migration (send/receive) and instant container creation from an image. It is also considered more mature than btrfs. To use ZFS with LXD, you first need ZFS on your system. This will ask you a few questions about what kind of zfs configuration you’d like for your LXD and then configure it for you. If ZFS isn’t available, then btrfs offers the same level of integration with the exception that it doesn’t properly report disk usage inside the container (quotas do apply though). btrfs also has the nice property that it can nest properly which ZFS doesn’t yet. That is, if you plan on using LXD inside LXD, btrfs is worth considering. LXD doesn’t need any configuration to use btrfs, you just need to make sure that /var/lib/lxd is stored on a btrfs filesystem and LXD will automatically make use of it for you. If ZFS and btrfs aren’t an option for you, you can still get some of their benefits by using LVM instead. 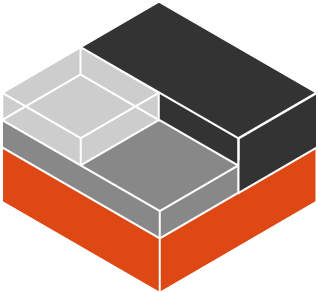 LXD uses LVM with thin provisioning, creating an LV for each image and container and using LVM snapshots as needed. lxc config set storage.lvm_vg_name "THE-NAME-OF-YOUR-VG"
If none of the above are an option for you, LXD will still work but without any of those advanced features. It will simply create a directory for each container, unpack the image tarballs for each container creation and do a full filesystem copy on container copy or snapshot. All features are supported except for disk quotas, but this is very wasteful of disk space and also very slow. If you have no other choice, it will work, but you should really consider one of the alternatives above. The complete list of configuration options for the LXD daemon can be found here. By default LXD doesn’t listen to the network. The only way to talk to it is over a local unix socket at /var/lib/lxd/unix.socket. The first instructs LXD to bind the “::” IPv6 address, namely, all addresses on the machine. You can obviously replace this by a specific IPv4 or IPv6 address and can append the TCP port you’d like it to bind (defaults to 8443). The second sets a password which is used for remote clients to add themselves to the LXD certificate trust store. When adding the LXD host, they will be prompted for the password, if the password matches, the LXD daemon will store their client certificate and they’ll be trusted, never needing the password again (it can be changed or unset entirely at that point). In most setups, you’ll want the LXD daemon to fetch images from remote servers. If you are in an environment where you must go through a HTTP(s) proxy to reach the outside world, you’ll want to set a few configuration keys or alternatively make sure that the standard PROXY environment variables are set in the daemon’s environment. LXD does dynamic image caching. When instructed to create a container from a remote image, it will download that image into its image store, mark it as cached and record its origin. After a number of days without seeing any use (10 by default), the image is automatically removed. Every few hours (6 by default), LXD also goes looking for a newer version of the image and updates its local copy. Here we are instructing LXD to override all of those defaults and instead cache images for up to 5 days since they were last used, look for image updates every 24 hours and only update images which were directly marked as such (–auto-update flag in lxc image copy) but not the images which were automatically cached by LXD. At this point you should have a working version of the latest LXD release, you can now start playing with it on your own or wait for the next blog post where we’ll create our first container and play with the LXD command line tool. And if you can’t wait until the next few posts to try LXD, you can take our guided tour online and try it for free right from your web browser!